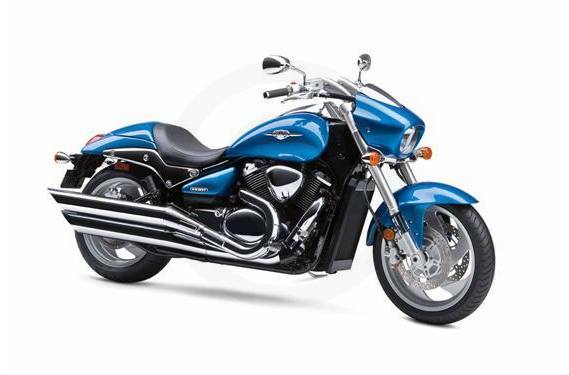 Introducing the all-new Suzuki Boulevard M90. It's a stylish, streamlined power cruiser that takes its styling cues from the incredible M109R. The new liquid-cooled engine is strong and smooth. And the 200mm rear tire makes a strong mark will allowing amazingly nimble handling. 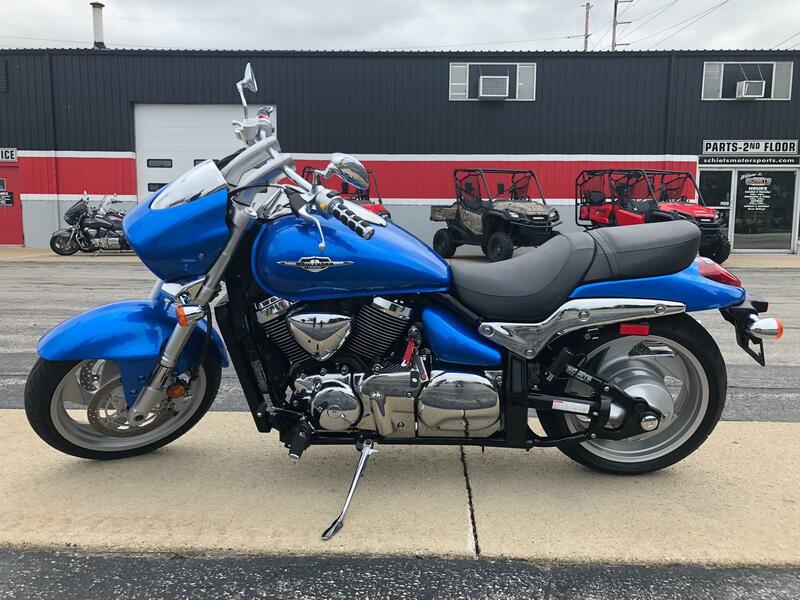 All new powerful long stroke V-twin engine features single overhead cams, water cooling, and four valves per cylinder, with the cylinders set at a 54 degree angle. Each piston rides on a chrome-moly steel connecting rod, which is shot peened to improve durability and strength. The M90 engine is tuned to deliver strong, smooth torque across the rpm range, with peak torque produced at just 2600 rpm. 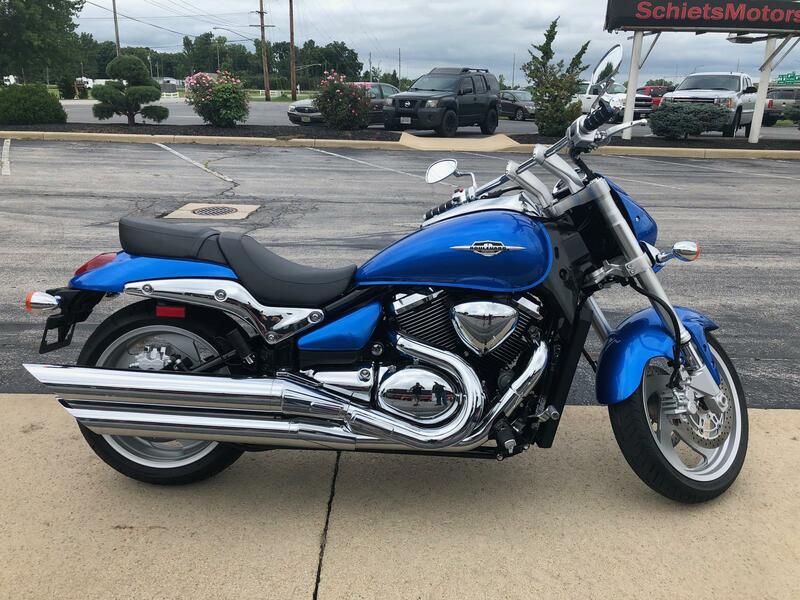 The Suzuki Boulevard M90?s advanced digital fuel injection system and engine management system is designed to increase throttle response while also getting the most out of every drop of fuel, producing broad power and reducing emissions. 32 bit 512kb ROM engine management computer and state of the art SDTV fuel injection system. Each cylinder has its own 42mm throttle body featuring Suzuki advanced SDTV Fuel injection system. 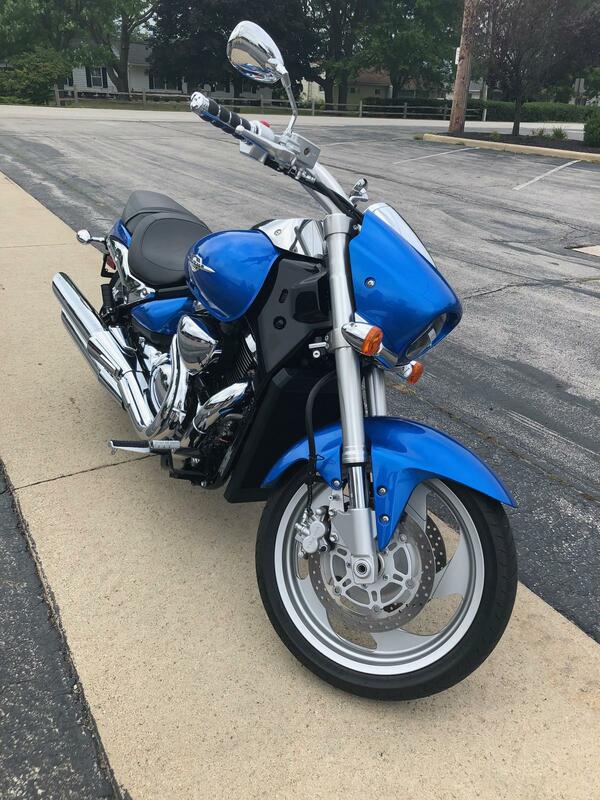 Suzuki?s proven PAIR system uses a solenoid valve controlled by the engine management system to inject fresh air from the airbox into the exhaust ports, igniting any unburned hydrocarbons and reducing carbon monoxide emissions. Dual chromed slash cut exhaust system features a built in catalyzer that further reduces hydrocarbon, carbon monoxide and nitrogen oxide emissions. The internal design of the mufflers cancel out reflecting exhaust waves, reducing drops in backpressure and smoothing power delivery. To reduce mechanical noise, each cylinder heads cam cover is separate from the cam bearing caps and a rubber gasket is used between the cylinder head and the cam cover. The rear brake disc measures 275mm and works with a single dual piston caliper. To maintain the M90?s clean lines the rear brake fluid reservoir is remotely located away from the right-side, forward position footpeg, brake pedal and master cylinder. 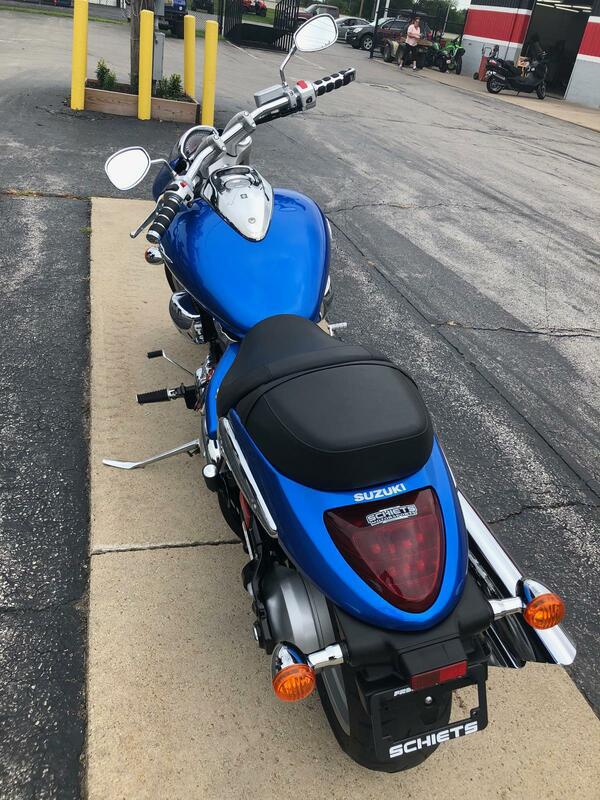 Special attention to comfort started with the Suzuki Boulevard M90?s wide, well padded seat including extra length to allow the rider to slide forward or rearward on long rides. Chromed drag style handlebars feature a 1.0 inch diameter and control switches and levers are ergonomically designed to improve the machine interface, adding to rider comfort.